Help Lance Get to MLG Raleigh! Mortal Kombat Legacy Season 2 is Coming! 2 Comments Posted in Entertainment, Gaming, Movies, Videos Tagged Mortal Kombat, Mortal Kombat Legacy, Warner Bros. 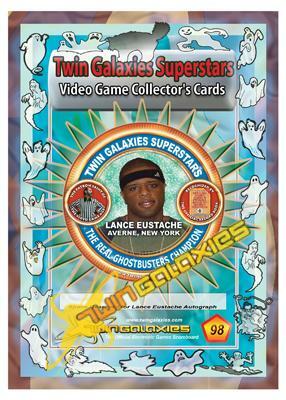 The kind people at ObsoleteGamer.com posted my profile for the Twin Galaxies Trading Cards. It’s nice to see that they are fans of these cards. Make sure to check out my profile there and leave a nice comment! I have been hearing a great deal about Nintendo’s Wii U. It looks like a nice system but I don’t see myself buying the system at launch. When I purchased the Wii it had Wii Sports in the box and Twilight Princess was a launch title (great game, as is Skward Sword). The Wii U got some great improvements but it wasn’t as great a jump as it when it was SNES to N64 or GameCube to Wii. More like NES to SNES. The NES was great but when it came out there were still lots of people playing NES. If there is a title on launch or close to launch that catches my eye then I might get it. I’m sure Nintendo will do fine with Wii U in the long run. I’ll to see what comes out first before I choose to get it.